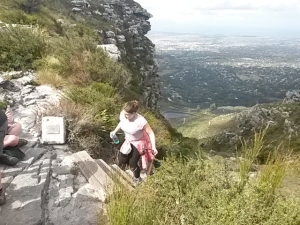 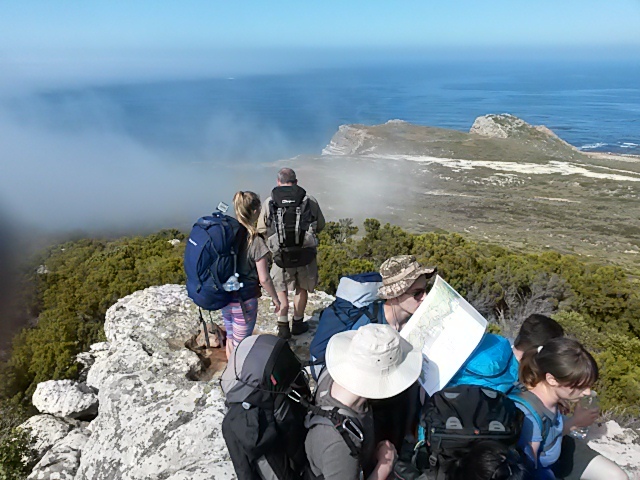 The Table Mountain Chain which stretches from Cape Town to the tip of Cape Point offers some of the most varied and wonderful hiking in the world. 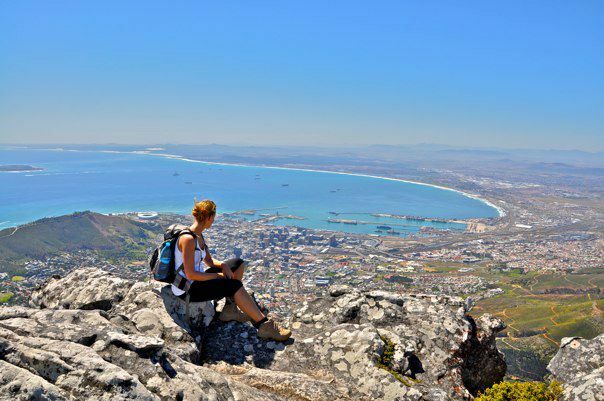 One day you can wander along isolated stretches of beach and the next day be on Table Mountain itself with its astounding beauty and views of the city of Cape Town. 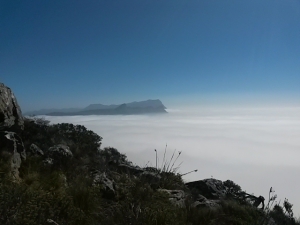 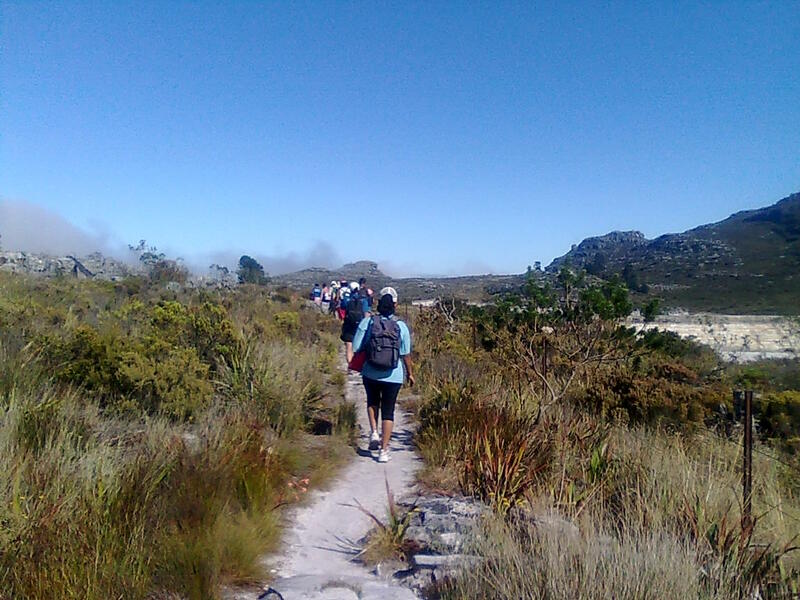 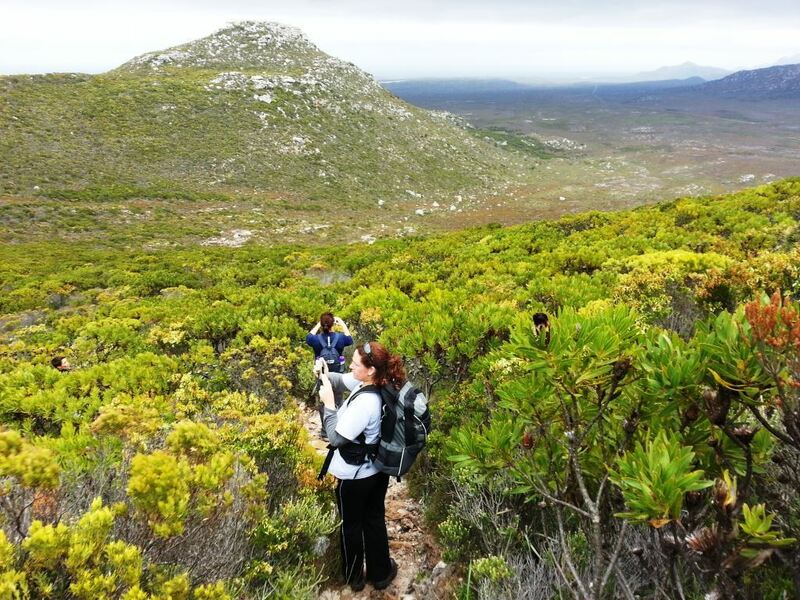 The Hoerikwaggo Trail (Hoerikwaggo is the indigenous name for Table Mountain) is a 5 day trail covering 75km with accommodation provided in comfortable tented camps along the route. 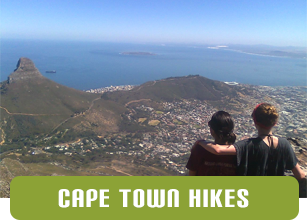 However you don’t have to do the full trail, you can opt for any number of days or nights you like. 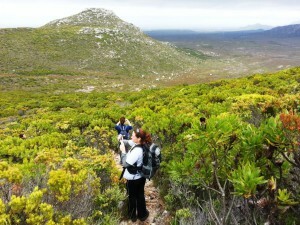 The days are quite long and hard so its also possible to choose easier routes in several areas. 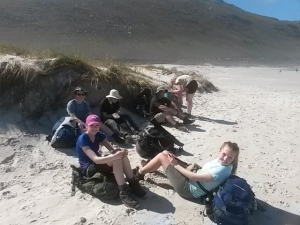 I recently finished a 5 day hike with a group of learners from the UK. 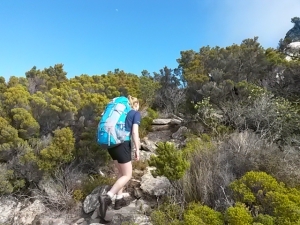 Due to the recent fires certain section of the standard route are closed but we were still able to 5 days of tough hiking and really enjoy the difference and variety that is available. 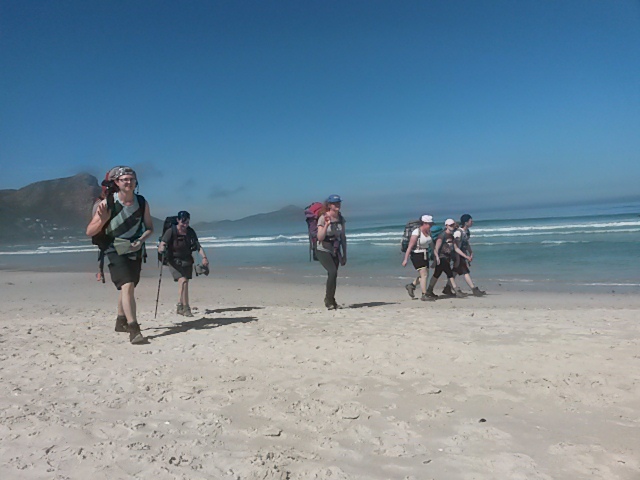 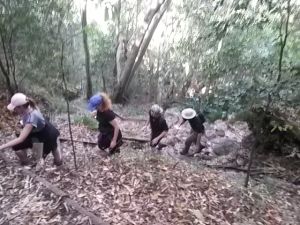 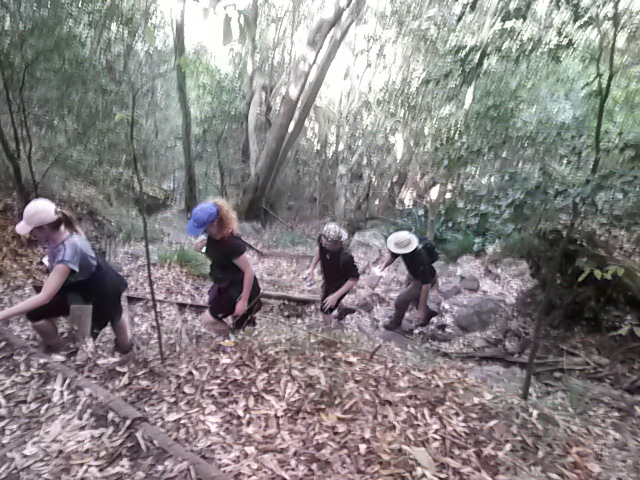 Days 3 and 4 take us into the mountain and to totally different terrain. There are an amazing amount of paths on top of the mountain. 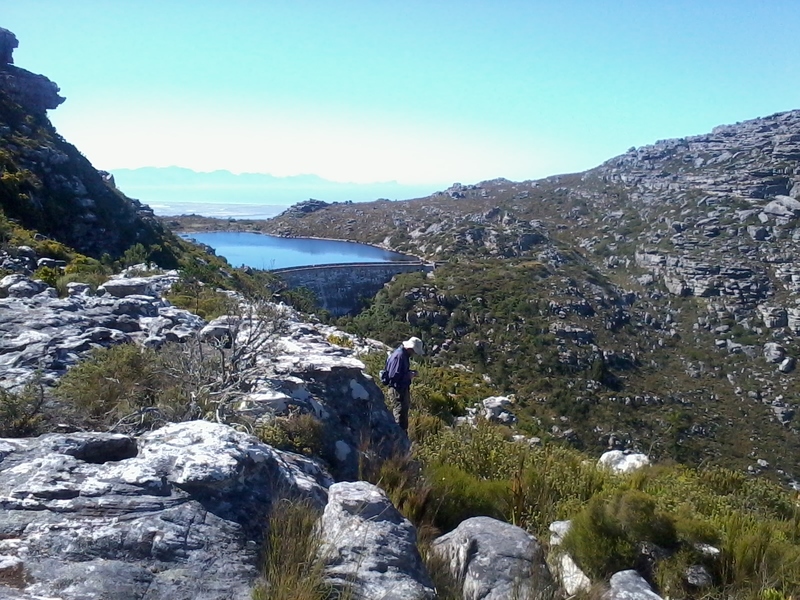 The final day takes you right past the reservoirs and to the plateau. From the plateau the views of the city are wonderful. 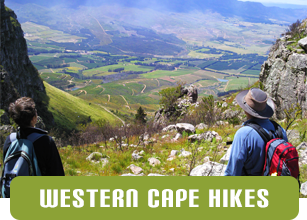 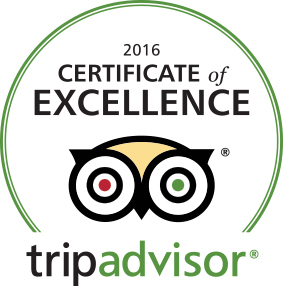 Contact us for more information on the full trail or for any portion of the trail.